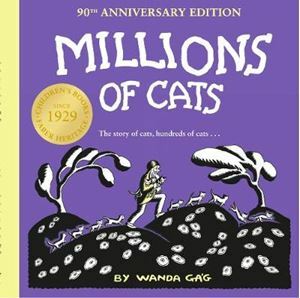 Quick overview Wanda Gag's timeless tale follows an old man who is looking for the perfect cat. But when he finds them the cats are all too lovely to leave so he returns with 'hundreds of cats, thousands of cats, millions and billions and trillions of cats'. How will he choose which cat to keep? Wanda Gag's timeless tale follows an old man who is looking for the perfect cat. But when he finds them the cats are all too lovely to leave so he returns with 'hundreds of cats, thousands of cats, millions and billions and trillions of cats'. How will he choose which cat to keep?